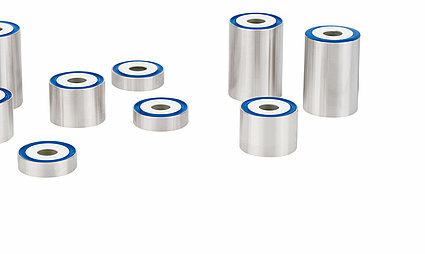 Active Shims for Nanometer Resolution and Long-Term Stability: Adjusting with Piezo-Based "Shims"
If a target or an actual dimension between two components inside precision machines changes, for instance in semiconductor manufacturing, measuring applications or inspection systems, readjustment may be necessary. An example of this would be when the machine is started up at the user's location, and initial settings, drifting or changes in tolerances need to be compensated after installation. The disadvantage of classical shims that are ground exactly to the required dimension, is that they need to be inserted mechanically. Furthermore, unlimited fine adjustment is not always possible and once the dimension has been fixed, it is often very difficult to change it afterwards. PI (Physik Instrumente) has found the perfect solution for this and developed the PIRest piezo-based "shims". Once they have been installed into the machine, the active shims not only make it possible to readjust the gap between two components at any time, but also achieve this with nanometer precision. 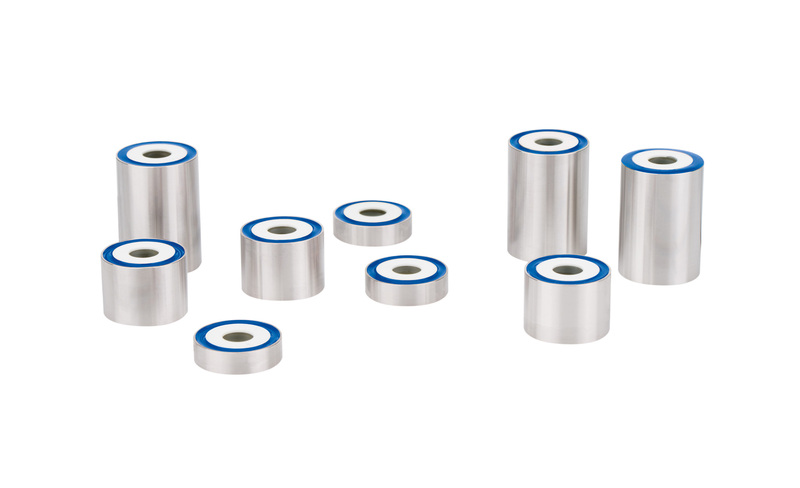 The piezo-based shims are built into the machine during its construction; they are available – in exactly the same way as other piezo actuators from the same manufacturer – in virtually any shapes and sizes. The static gap at the actuator can be set by applying voltage. PI provides an easy-to-use power supply for this adjustment process together with the matching control. After adjusting, the desired position remains stable without power and the power supply can then be disconnected. In the case of standard products, the maximum displacement is 35 µm; but skillful combination of the active shims makes it possible to adjust in up to six axes. The ability to adjust at inaccessible locations has been simplified considerably, even more so because piezo-based shims can hold heavy loads of several tons. If required, active shims can also be combined with classical piezo actuators, e.g., for dynamic vibration compensation. Typical applications include for example, readjusting the focal plane during a measuring or scanning process as well as controlling a laser beam in measuring technology or materials processing.